It's February. It's basketball & hockey season. I know this. Let's talk 2014 Michigan Football. There's really only one way to put this. This schedule stinks. From a season ticket-holder perspective, it really stinks. If Brady Hoke and his squad are going to have any chance at playing for the Big Ten title in Indy, they'll need to do something he hasn't done since becoming head coach at Michigan three years ago…win a marquee road game. And not just once. Three times. Notre Dame, Michigan State and Ohio State are all road games this year. Not to mention trips to New Jersey and Chicago. For a team that has struggled recently away from the Big House, this schedule looks like kryptonite. A year ago at this time, Michigan was reeling from a 2012 schedule that probably one of the toughest in the country. 2013 was supposed to be a welcome reprieve with more home games against primary rivals, but instead was a minefield of tough losses in games that should've probably been won. Call it youth, inexperience, poor coaching…it doesn't really matter now. What's done is done. Time to move on. To put it simply, I have no idea what to expect with Team 135. Let's get it on! If Michigan's intention is wash away old demons, well, you can't get any more demon-ier than Appalachian State. Are we taking bets on whether or not this will be a 3:30 kick on ABC? I'd be willing wager. Theoretically, Michigan should rollllll in this game. They must not only beat Appy State, but they need to demolish them. Make up for 2007 and then some. Frankly, I think it's just a terrible idea to schedule them again, but I don't get a say in those matters. 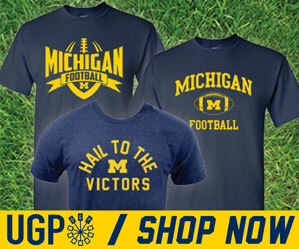 If Michigan struggles, it's "here we go again". And even if they win by 40 points, its still a rematch and that's all people need to rehash miserable memories of The Horror. For the last time for probably a long time, Michigan travels to South Bend to face the Irish in week 2 in what is easily the biggest game on the non-conference slate. Both Michigan and Notre Dame struggled last year and will be looking to get 2014 started off right with a win in this final (for now) game between these two traditional rivals. 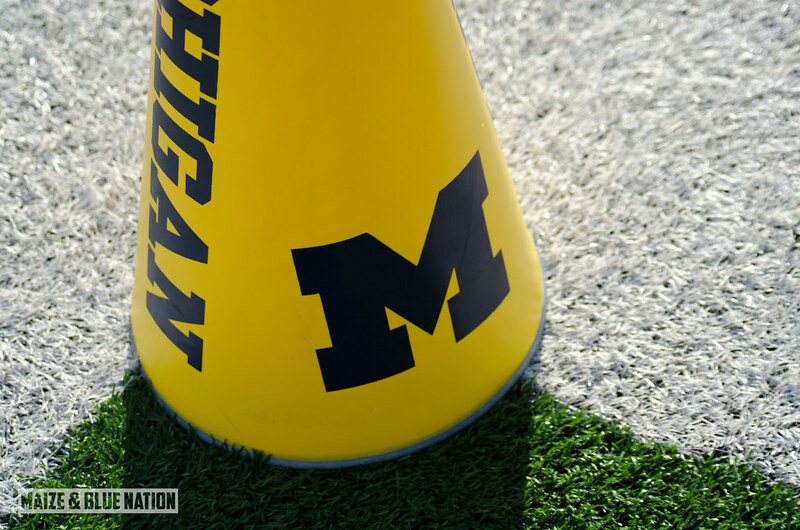 Miami (not that Miami) comes to the Big House in week 3 for a B1G--$$-->MAC game. The Redhawks lost every game last season. All of them. Finally, rounding out the non-conference slate is Utah from the Pac-12 on September 20th. The Utes finished last season with a 5-7 record, but did knock off #5 Stanford on October 12th at home 27-21…and then went 1-5 in their last 6 games. So long confusing "Leaders and Legends" divisions. With the arrival of Maryland and Rutgers to the Big Ten this season (both in Michigan's division), the Big Ten has mercifully gone to a more reasonable East and West divisional alignment. This makes sense for many reasons, but it also means that Michigan will play these two new member schools every year. Michigan's first game against a division foe will be at High Point Solutions Stadium in Piscataway, NJ in week 6. Last year, in the AAC, Rutgers accumulated a 6-7 record which included a 29-16 loss to Notre Dame in the Pinstripe Bowl. Speaking of new B1G opponents, Michigan will host Maryland in week 11 of the season for the final home game. Its tough to tell just how good both Rutgers and Maryland are and how well they'll do in the Big Ten, but if I were to guess, I'd say not so great. The East division is stacked with Michigan, Michigan State, Penn State and Ohio State. That's a gauntlet for anyone. And that will also be the gauntlet for Michigan. Ohio State and Michigan State both being on the road is just bad luck. Michigan travels to East Lansing for the second year in a row thanks to a reshuffled schedule when the B1G added two new schools. No one, and I mean no one has a better B1G home schedule than Sparty…but we'll talk about that later. Rounding out the divisional games will be Indiana and Penn State at home. Penn State will surely be a night game on October 11th. And Indiana will be Michigan's homecoming opponent on November 1st. With the new larger divisions, Michigan only has 2 crossover opponents. Minnesota to start the B1G schedule at home on September 27th and Northwestern on the road on November 8th. It would've been nice to flip these two home/road games to mix it up from last year, but again…scheduling is what it is. I like the Gophers remaining on the schedule for now to keep the Little Brown Jug game going…if at least for only the next two years. Michigan must win both of these games. There's no room for error with these two opponents. Michigan misses out on Wisconsin (again), Iowa, Nebraska, Purdue and Illinois. With the bulk of the power in the B1G in the east division, there's simply a wide open field for the west. I think Wisconsin is the favorite, but I wouldn't be surprised to see Nebraska or Iowa make a run. Coming up next, we take a look ahead to the 2014 defense. Stay tuned. It never ceases to amaze me how dumb Michigan is. What's the purpose of starting the year with Appy State? During the summer, all we're going to hear about leading up to the season is how UM lost in 2007. And, if Michigan actually wins the game, people will say that's what they should have done back in '07. Finally, if UM loses, they will be the laughingstock of college football for decades to come. That will prove to be the beginning of the end for Brady Hoke in Ann Arbor.